Paul V. Duffy, 51, of Clifton Park, passed away on Wednesday, September 5, 2018 with his loving family by his side. Born in Albany, NY in on December 1, 1966, son of Christine (Sajdak) Dodge and the late Paul Duffy. Loving son of Christine and Kenneth Dodge of Clifton Park, NY. 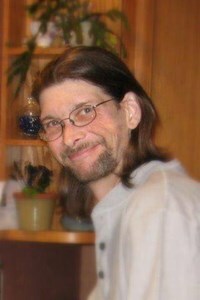 Cherished brother of Tracy (Lee) Kaback of Delmar, NY and Peter Duffy (Deanna Lively) of Greenfield, MA. Loving Uncle of Ella and Max Kaback. Survived by several loving Aunts and Uncles plus cousins. Paul grew up in Menands but lived many years in Bradenton and Sarasota, Florida before returning to the Capital District. Paul received his education locally and attended CBA before moving to Clifton Park where he graduated from Shenendehowa Class of 1984. For a time, Paul was a bartender with local establishments in the Capital District, in addition to the years he spent in Sarasota, Florida. He was also a longtime mechanic with various businesses in the Capital District, but most recently Midas. Paul was a ‘Jack of all trades’ and very skilled with model cars and airplanes. His knowledge of airplanes and anything mechanical was exceptional. If there was ever a technical or mechanical issue he accepted the challenge, and would succeed! An avid history buff, Paul would talk to anyone on this subject (even if you didn't want to listen). Through his interests, Paul was invited and belonged to a private Facebook mechanics group (Cross-threaded Nuts) who expressed sadness in losing one of their "Nuts". Paul was happiest cooking, boating and working on cars. He really enjoyed music (and there wasn't an air drum he couldn't play!) a loyal Star Trek and N.C.I.S. fan, he dared you to quiz him on any episode. Paul loved spending time with the family pets, and he was his happiest helping his parents around the house. Relatives and friends may call 1-3 p.m., Sunday (September 9th) at New Comer Cremations & Funerals, 343 New Karner Road, Colonie, where prayers will be offered at 3p.m. in the funeral home that afternoon. In lieu of flowers, the family requests that if you are able to, please Donate a pint of blood to the American Red Cross, donations can also be made to: Mohawk Hudson Humane Society, 3 Oakland Avenue, Menands, NY 12204 or Homeless & Travelers Aid Society, 138 Central Ave, Albany, NY 12206. Add your memories to the guest book of Paul Duffy. I just recently found Paul on Facebook after maybe 35 years. I am stunned and saddened by this news. Paul was probably one of my closest friends in grade school. I remember hanging out in your yard, playing basketball. Memories that come back often and make me smile. Time never erases the memories of people who have impacted your life. May God bless Paul and provide him comfort and bless the entire family during these difficult times. Paul and I lived together, worked together and enjoyed life together. He left so many memorable memories that will be cherished forever. I will never forget the six months he took care of me after a motorcycle accident, he carried my wheel chair up and down the stairs, he made a seat in the shower and installed a hose so I could bathe, he cooked for me and went shopping. Paul was a brother from another mother to me. Paul will forever be in my heart and deeply missed. Something made me Google your name today, Paul, and I read of your passing. My memories will remain with me. I know that you still carry them with you. Our joyous times together will remain in my heart. I have no doubt that you are now peaceful and free -- drive as fast as you want (you know what I mean). Cherish your time on the other side, absorb all of the love and nurturing that is there for you. I know that we will meet up there some day. My condolences to Chris, Ken, Tracy and Peter, and all of Paul's family. Thoughts and prayers are with the Duffy family during this shocking and difficult time from my family to yours!! I was a CBA school mate of Paul’s for several years and we had a lot of similar interests during this time. We became such good friends we started hanging out together after school. Paul never hesitated riding his bike out of Menands to come hang out at my home. I considered Paul a great friend even though many years have passed us!! Rest In Peace my good friend and Brother!! You will be missed by many!! You stepped into my heart when you were a tiny baby. You will always live there I love you sweetheart. Rest now. Know that you are loved and missed. Chris, Ken, Peter and Tracy sending all our love. There are no words that can adequately express the sadness of your loss. Paul was a special, sweet soul who will be dearly missed, as he left this world too soon. May you find comfort in your fond memories of times spent together with Paul & your family.